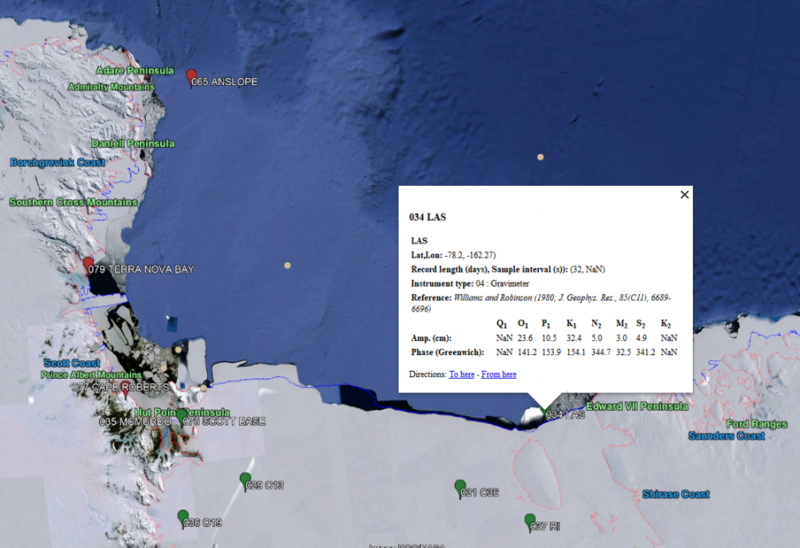 ESR has developed a set of KML files to be used with the Google Earth App. 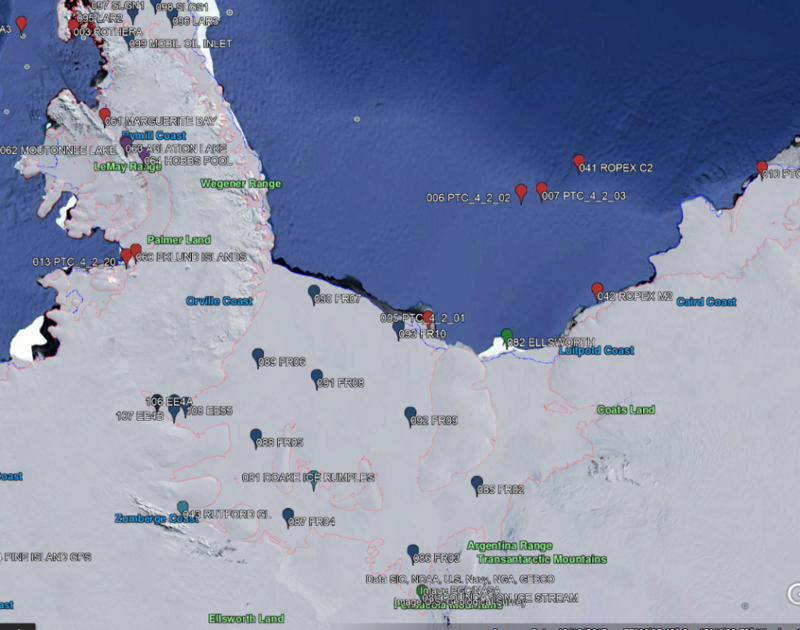 By installing Google Earth, and downloading our set of *.kml files, you can access the ATG interactively. 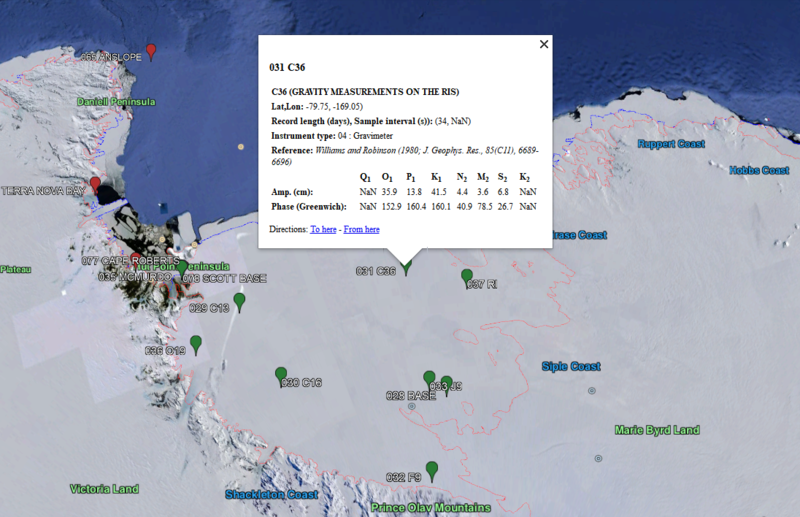 The package contains 3 KML files: the tide gauge data, and grounding line and ice-shelf front boundaries developed from the Antarctic land/ice/ocean mask file by Geir Moholdt (Norwegian Polar Institute); see Depoorter et al. (2013). Icons used by the tide gauge data file are also included. Depoorter, M.A., Bamber, J.L., Griggs, J.A., Lenaerts, J.T.M., Ligtenberg, S.R., Van den Broeke, M.R. and Moholdt, G., 2013. Calving fluxes and basal melt rates of Antarctic ice shelves. Nature, 502(7469), p.89. Contact: Please contact Susan Howard if you have trouble with this package, or have suggestions for improving it. 1. 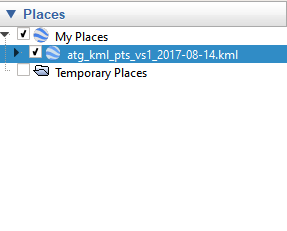 Make sure you keep ATG_KML package files in the same directory. We have custom icon files that are used by the kml files. 2. MOA coastline/grounding line files are older and less accurate than our Moholdt-based products included in the ATG_KML package, but may be useful for consistency with other applications. Feel free to unclick anything in the left column that you don’t want to see on the earth. You can also “delete” items in my places that you don’t want to show up there by right clicking on them, and choosing “delete”. This will show up under temporary places. Drag this file up to “My Places”, if you want this file to load every time you open Google Earth. You can load the MOA coastline and grounding line as well, if you are interested. These files are downloadable from NSIDC. 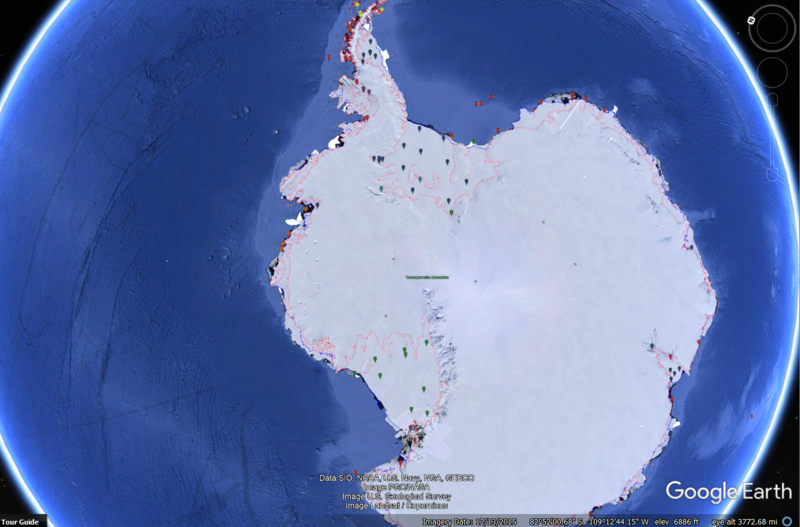 Move around/ zoom in and out to explore the data sites around Antarctica. Click on the icons to view the values for the tide gauge.